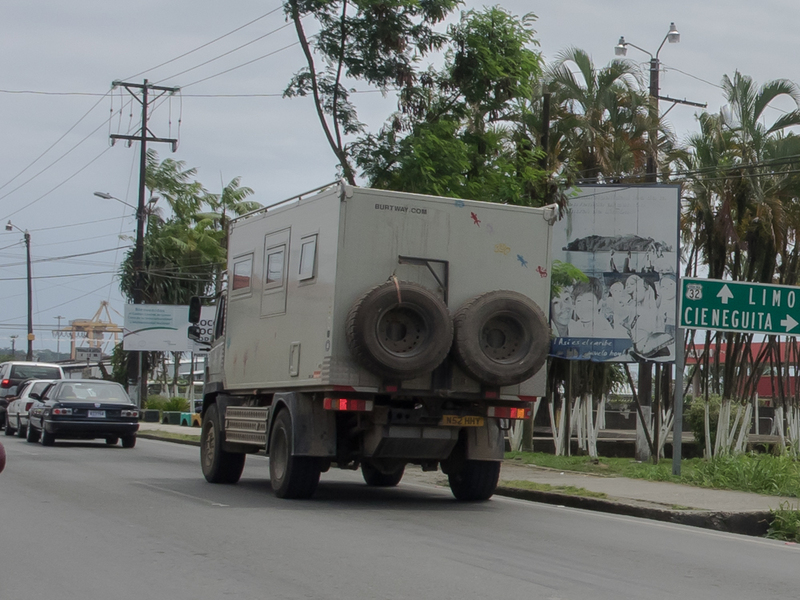 We checked out of our hotel at Cocles and headed north along the coast highway to Limon. 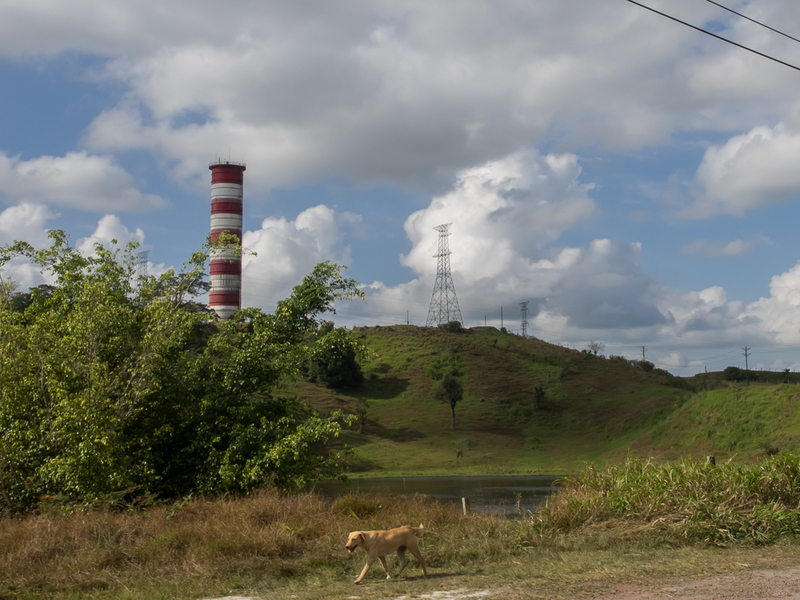 From Limon, we headed west toward Volcan Poas. 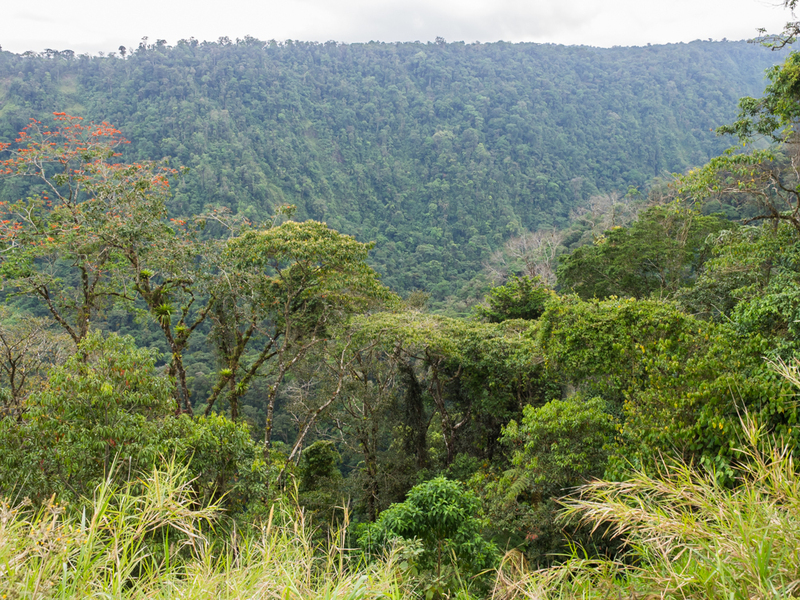 We had 2 nights "open" in our schedule so we elected to check out the Poas Volcano and surrounding area. 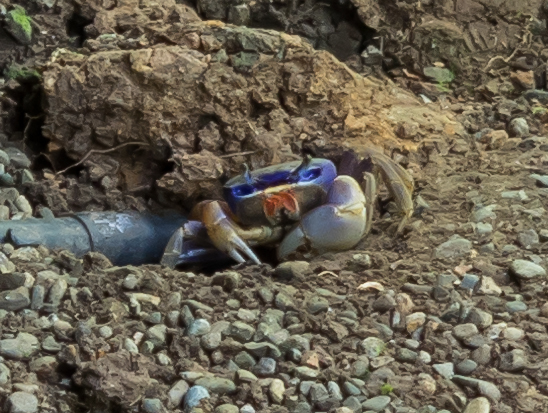 Kathleen spotted this alien creature outside our bungalow and grabbed by camera to take the shot above. Note the blue color of the face and the asymmetrical arms. This one is clearly left handed. 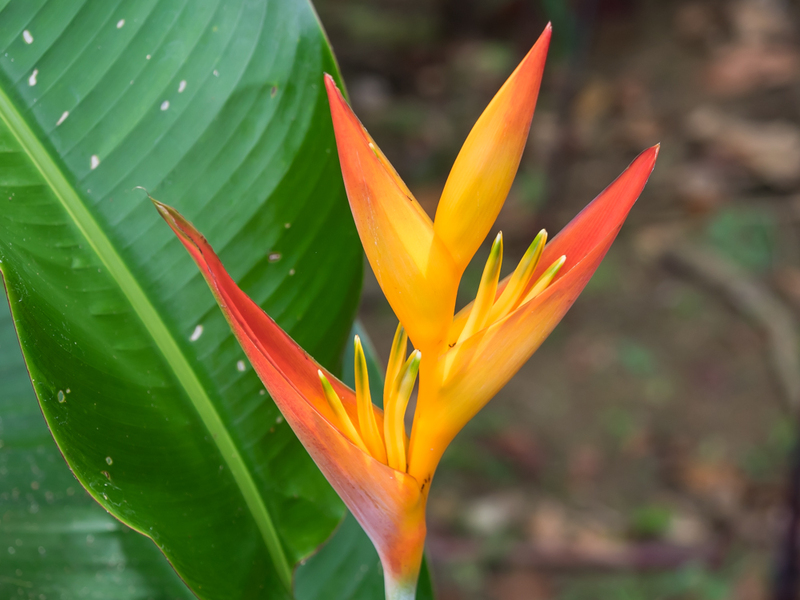 On our exit from the hotel, I spotted this flower in bloom. The previous night at the pool we spotted thousands of vultures circling as a flock. 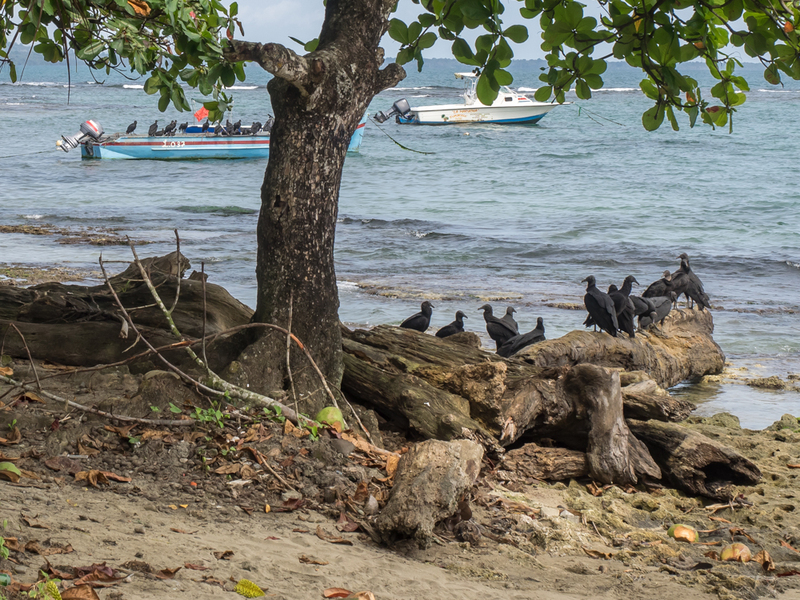 The next morning as we were leaving Puerto Viejo we spotted their nesting site for the night. I am not sure where the other 900 of them went, but the first 100 were here. 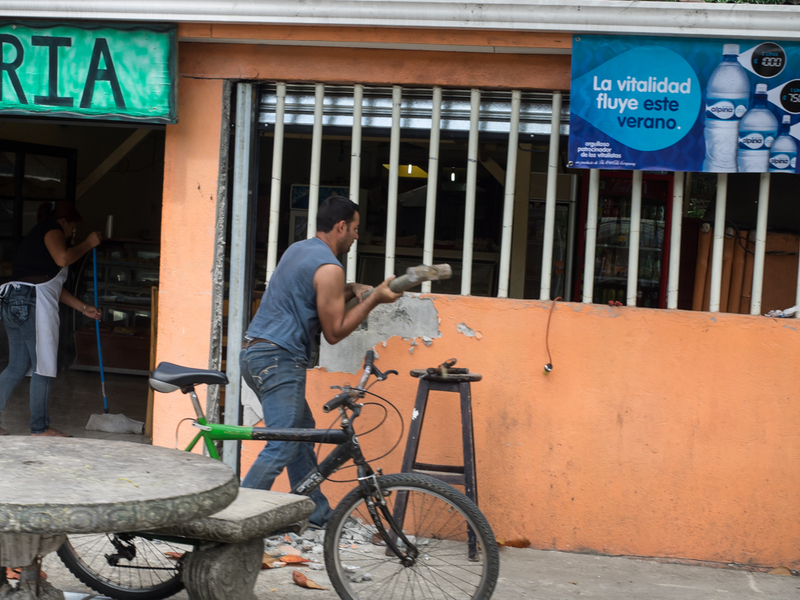 When we got into Puerto Viejo we spotted this fellow breaking down a concrete wall with a sledge hammer. 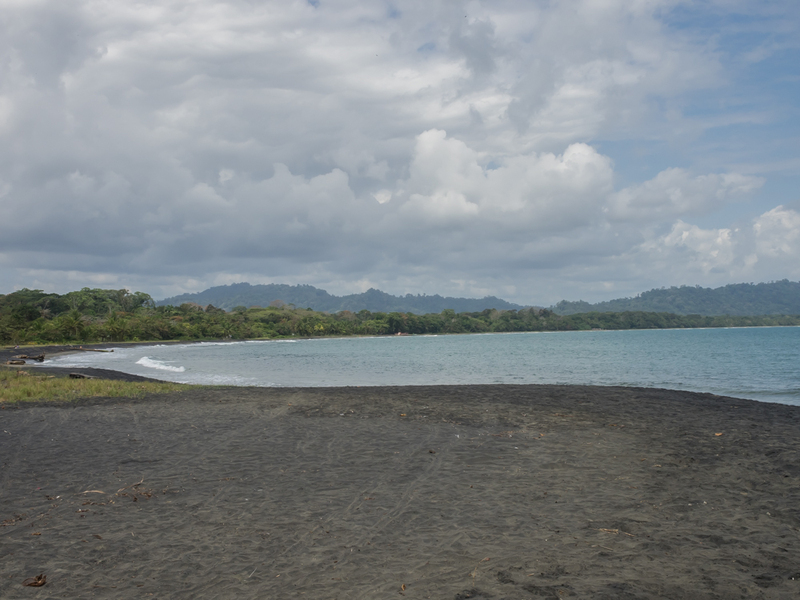 We stopped for one final look at the volcanic sand beaches of Puerto Viejo. This barge must be part of the old port. I cannot imagine any ship "of substance" docking here. 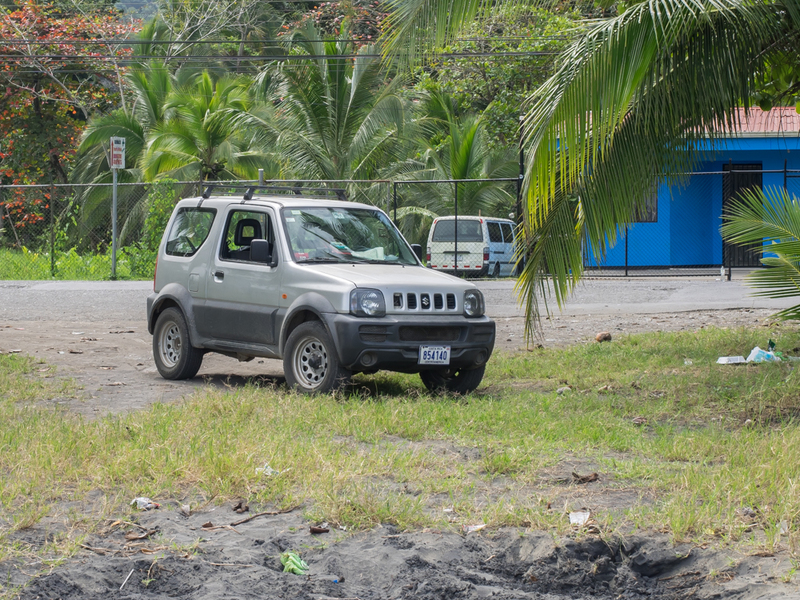 Our Suzuki Jimny carried us around the country. The ride was rough and the seats were tight, but it started every time (sometimes with a hesitation) and it was small enough to go everywhere we asked it to go. We gave it a good workout on the rough dirt roads and various water crossings that we did. Half way to Puerto Limon we pulled over for a bio-break and walked to the beach. The beach was deserted and the waves were small. The traffic in Puerto Limon was insane. There were drivers turning left against red lights and folks driving against traffic on the wrong side of the road. But after the main intersection we passed this rig in the oncoming lane. We were not fast enough with the camera to get a photo of the front end, but the truck is a Mercedes cab over not unlike our 1017. Note the URL on the rear of their camper: "burtway.com". According to their website, they suffered many structural failures due to the poor mounts for their camper. The frames for these trucks want to flex and the mount for the camper must accommodate the flexing or either the frame breaks or the camper breaks or both. In their case it was the frame that broke. See www.burtway.com for photos. 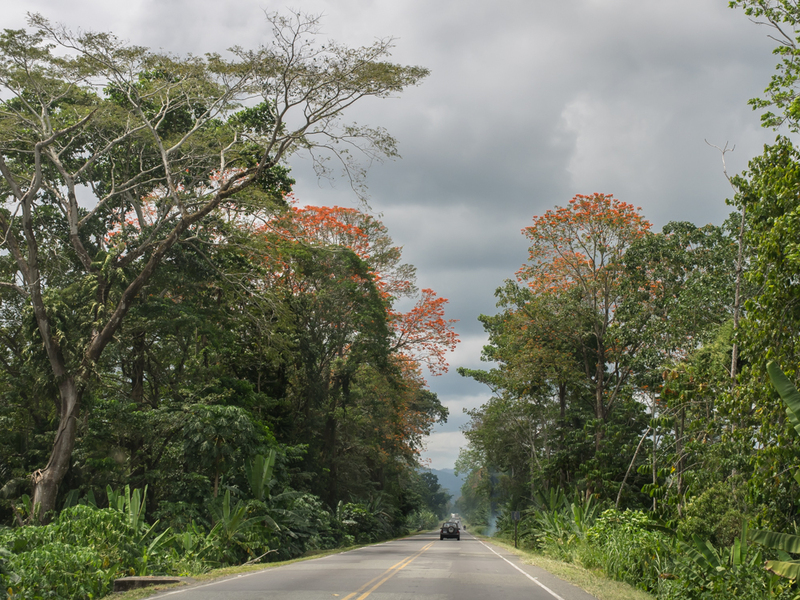 To the west of Puerto Limon, we saw trees that were sporting red blossoms. And of course, fires along the sides of the road. 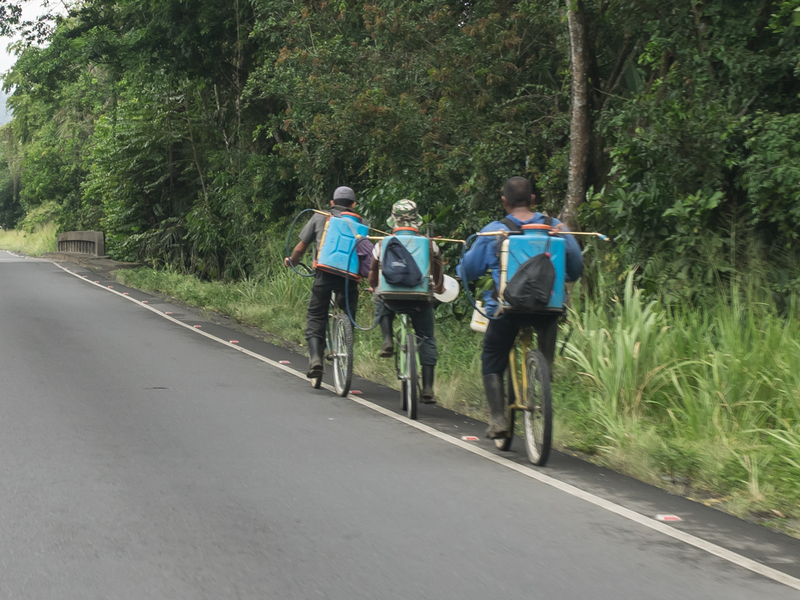 On the highway we passed these plantation workers with backpack sprayers. 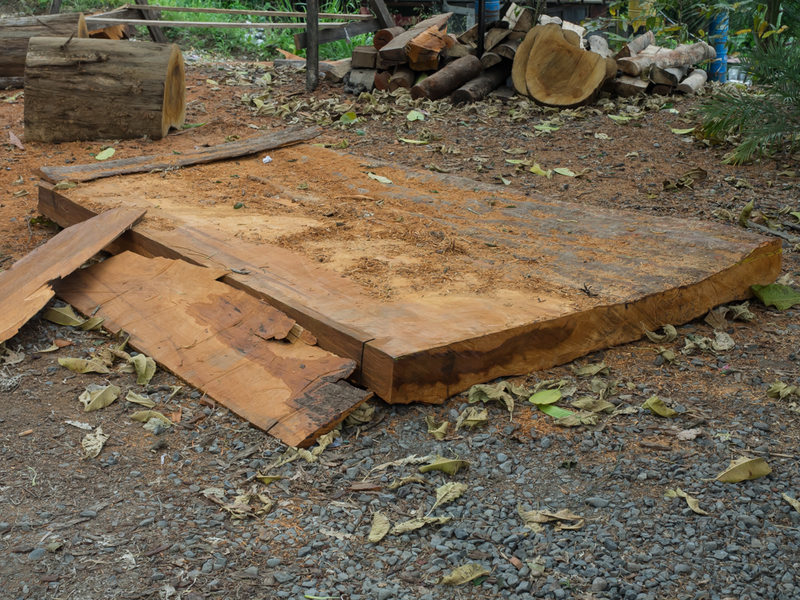 Kathleen called for a lunch stop at a roadhouse for truckers and I saw this huge slab of tropical hardwood sitting in the parking lot. 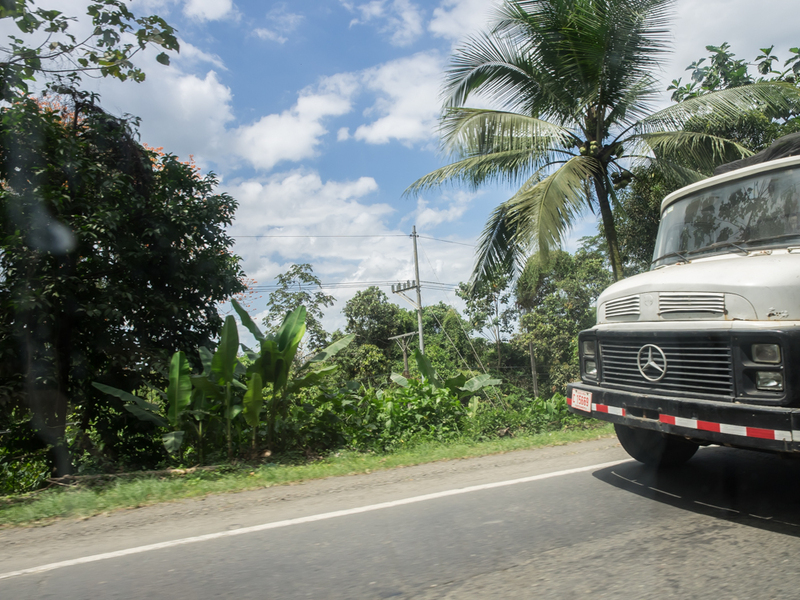 We saw plenty of Mercedes trucks, most were older, but all had the classical half hood. We headed south into the mountains and passed a large tower that was part of an aqueduct project. 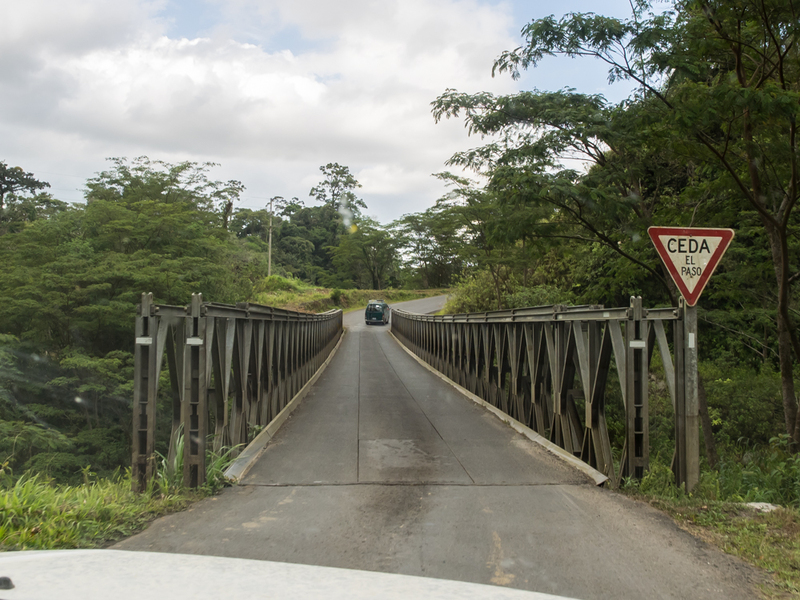 The road to our hotel was narrow and steep and had many single lane bridges. Note the sag in this one. We passed many oncoming fully loaded 18 wheelers which pretty much put us in ditch. 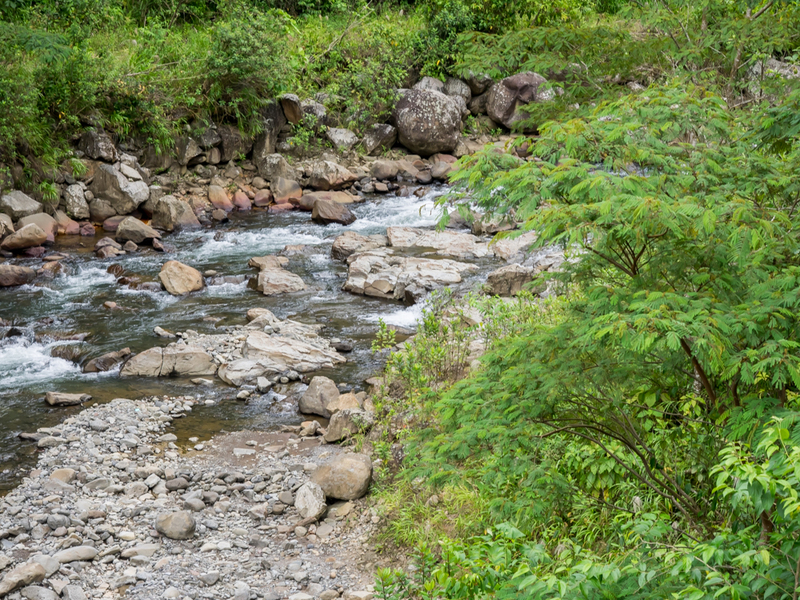 We stopped at a roadside pull-out to check out a creek. Thick jungle vegetation came down to the creek bed. The road ascended a fin ridge and after some really steep switchbacks we had a view of the canyon below. These are steep mountains. 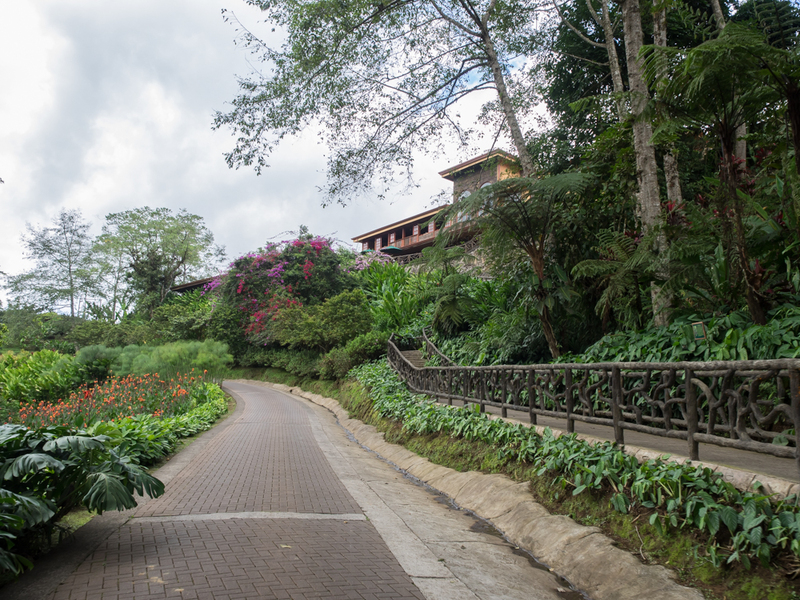 The road is on the flanks of the Poas Volcano and subject to slumping. 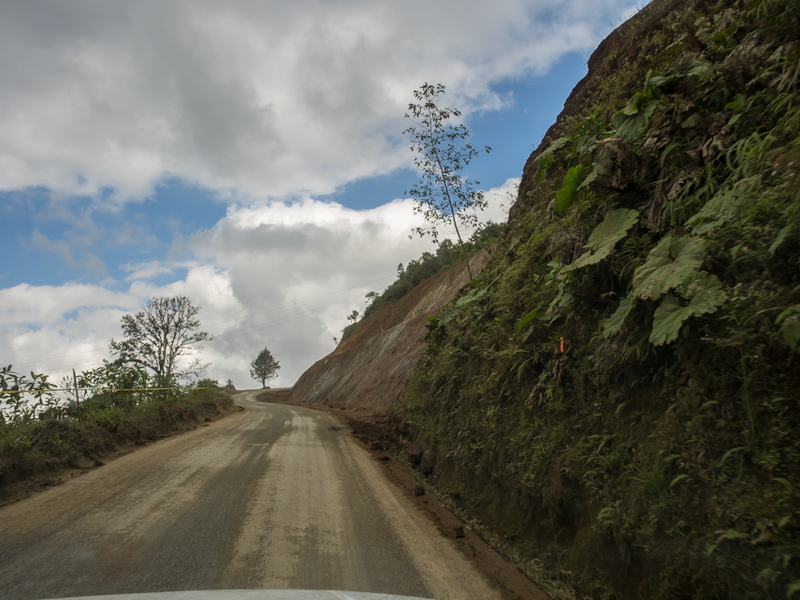 There was a portion of the road that failed as a result of the earthquake 5 years earlier, but workers were able to get the road functional. The damage is obvious here and it will not be long before the cliff slumps onto the road. 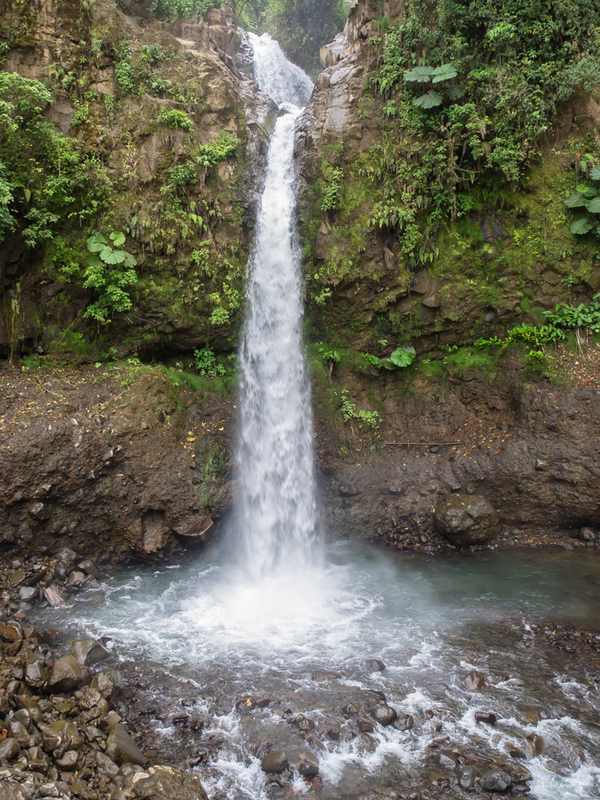 Further up on the mountain, we came upon one of the lower falls on the La Paz river. Kathleen had identified a hotel that looked interesting called the "Peace Lodge". Despite the new-age name, we decided to stay spend the night there. 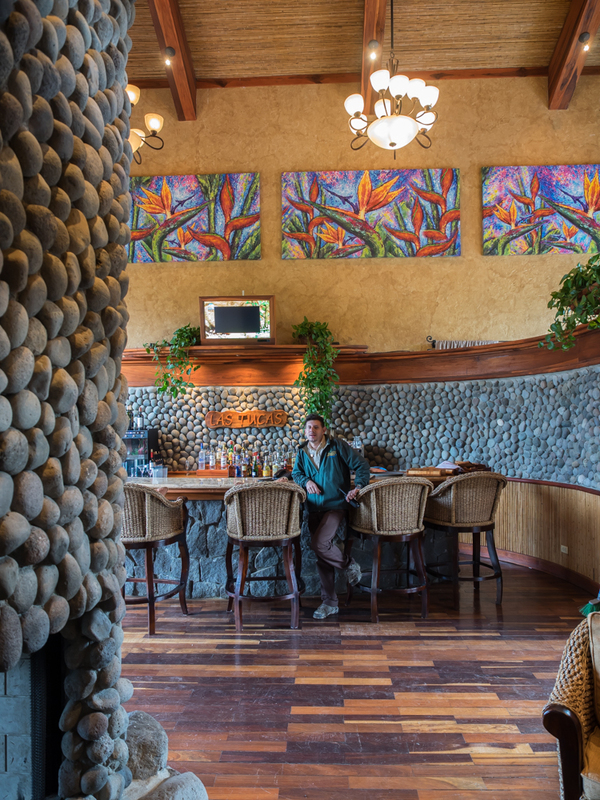 The host insisted that we visit the bar to check it out; it was a really nice place with great stone work. Our host spoke flawless English and I am sure he was laughing at me attempting to get a room for the night in my marginal Spanish. 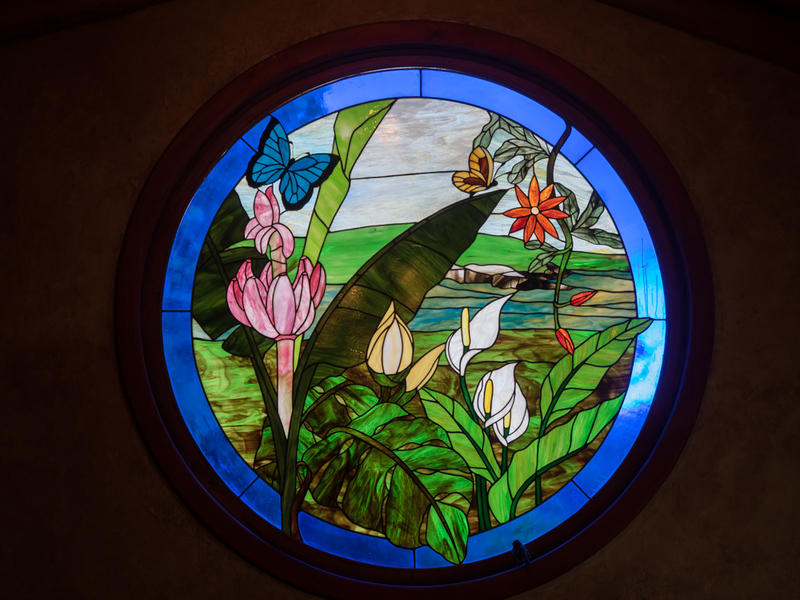 A sitting area close to the bar had this very nice stained glass window. The hotel is high enough in the mountains for it to be chilly. It had been somewhat overcast all day and here the clouds covered the far hilltops. In the valley below is a river with a set of five waterfalls which we will visit tomorrow. Our "small" room was the last room available in the hotel and was only $150 per night. 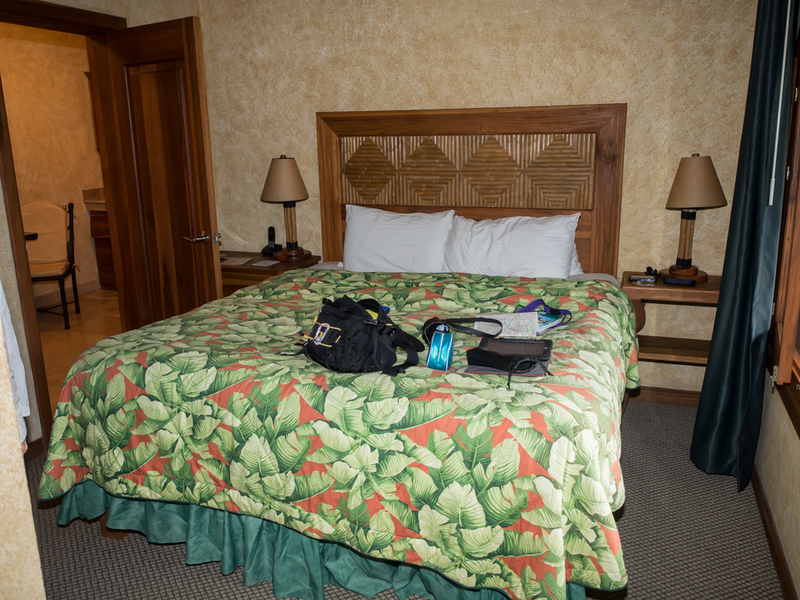 But, the baseline price for rooms here is $400 or so albeit for a much larger room. 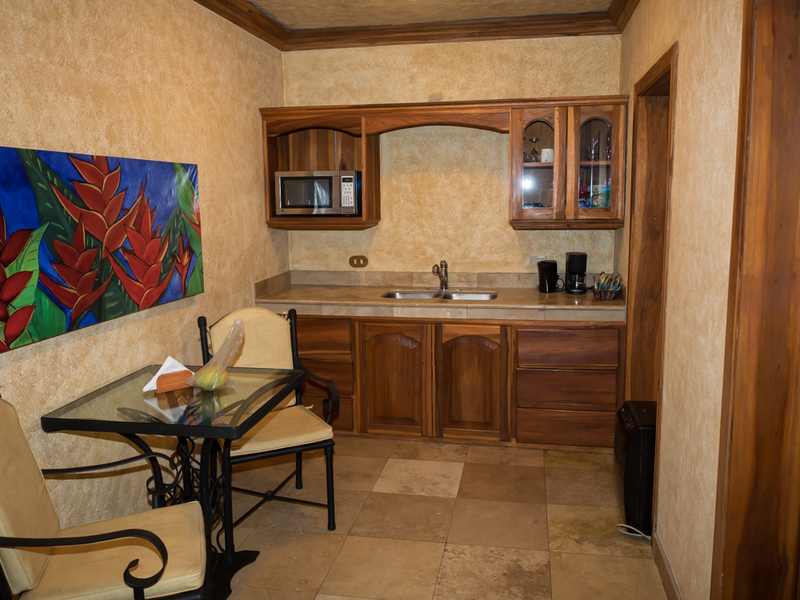 We had a kitchenette and sitting area adjacent to the bed/bath. The hotel is built onto the side of the canyon wall. Our room was near the first plateau and was located next to this "Trout Bar" and lake. 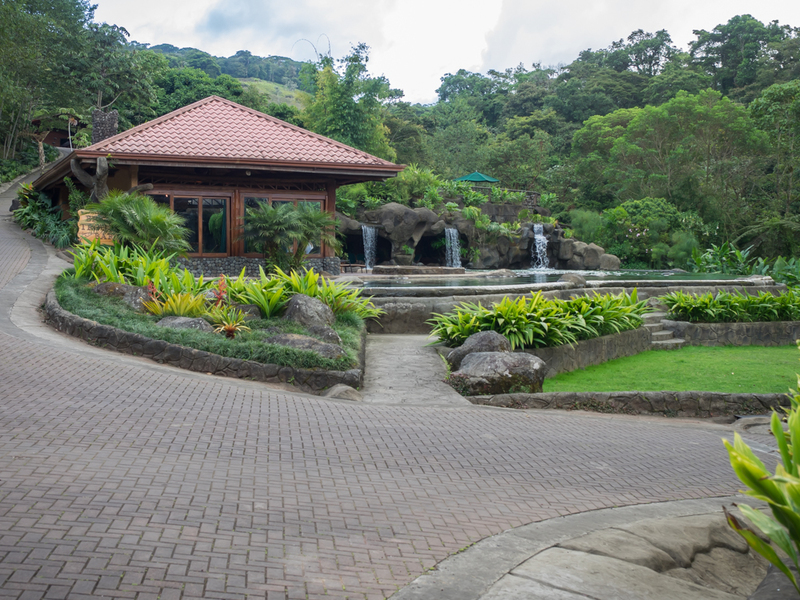 The lake is behind the restaurant and is stocked with fish that you can catch. If you succeed, they will cook your catch and serve it in the restaurant. I had never heard of such a thing. 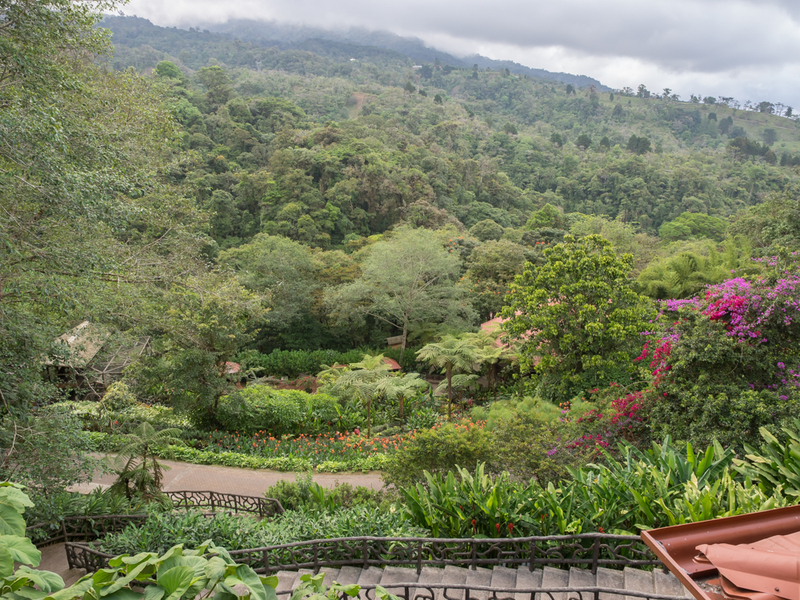 The property has its own aviary, monkey house, serpentarium, butterfly house, hummingbirds, frog exhibit, jungle cat exhibit in addition to the natural hot springs. And, if you get really bored, you can milk their cows. 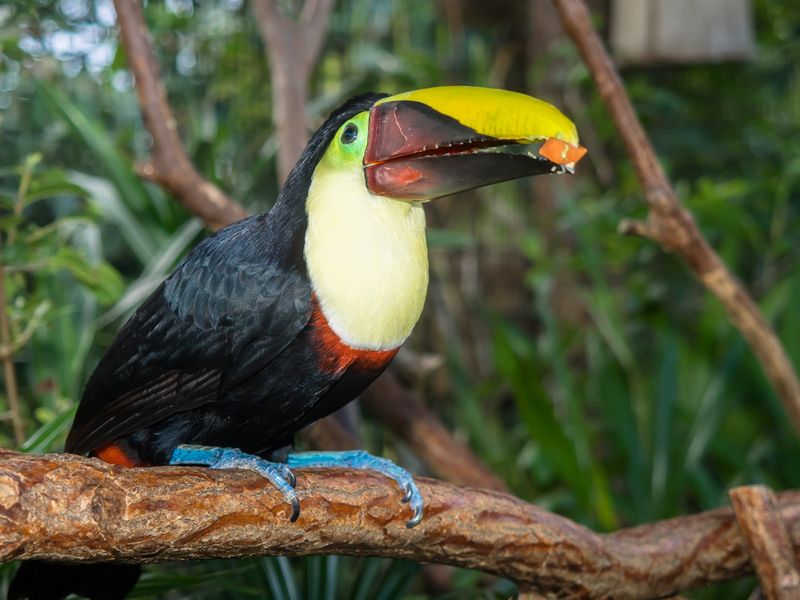 This Rainbow Billed Toucan was one of many in the aviary. 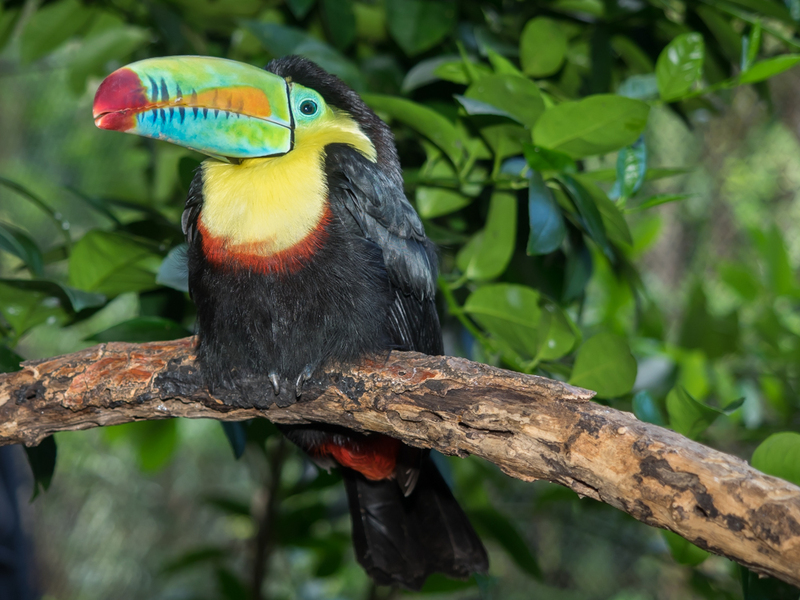 This is a different kind of toucan: Mahogany Billed Toucan. 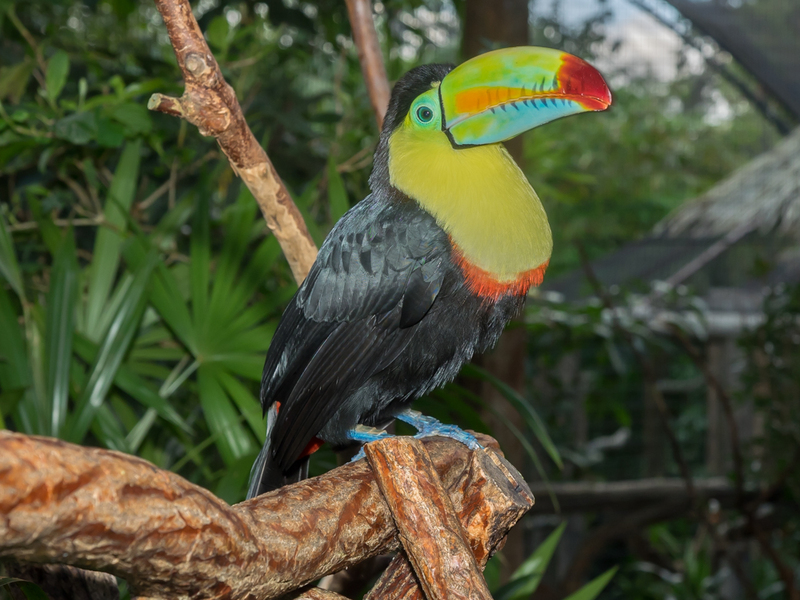 The odd lighting in the aviary created an odd color cast to this toucan's breast feathers. The birds were friendly and there was a handler present since we arrived at closing time. He placed one of the birds on Kathleen's arm. 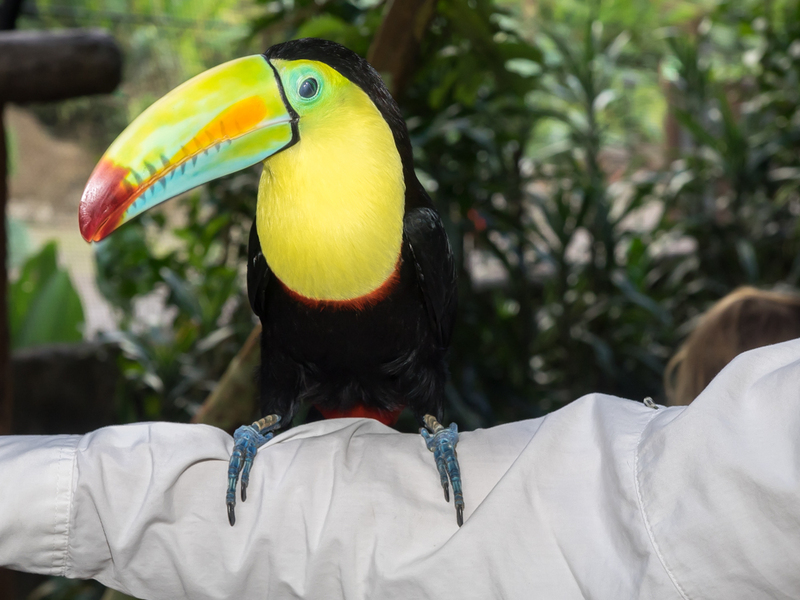 He put it on my shoulder as well, but I was uncomfortable thinking about what that big beak would do to my ear. 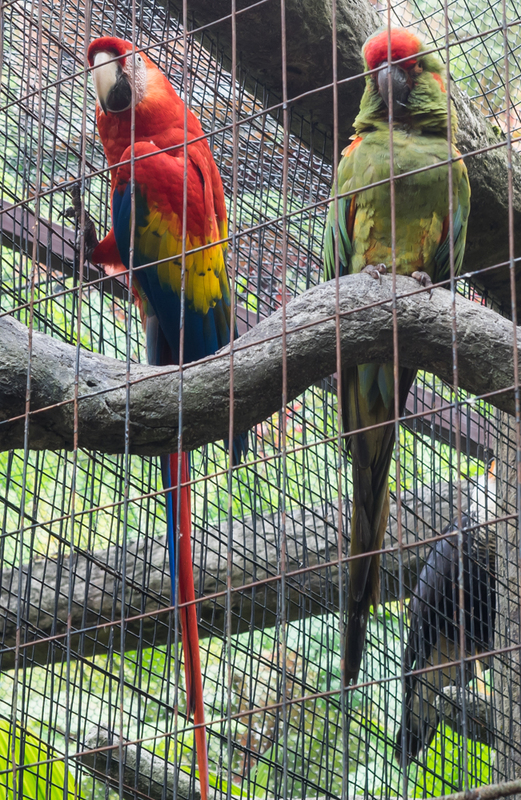 Next to the toucans were larger parrots and macaws. They ran us out of the exhibit because it was closing time. 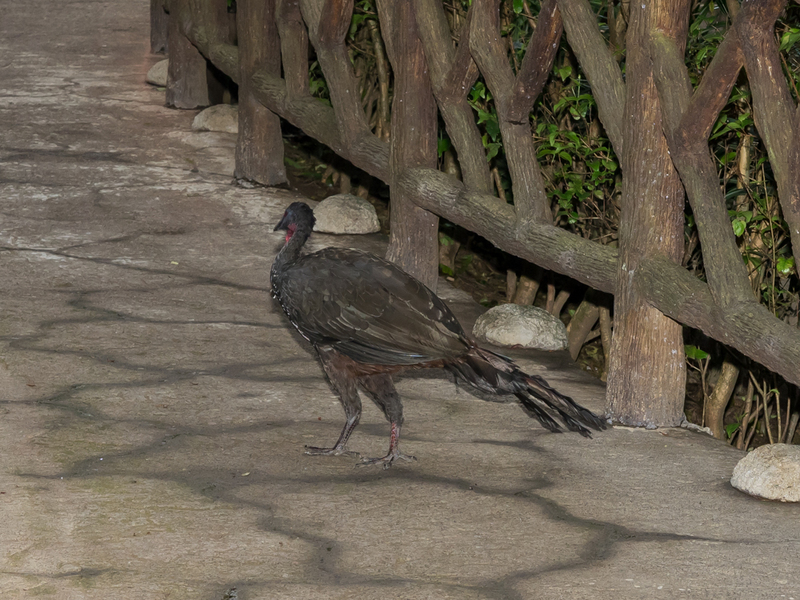 But on our way out, we spotted this beast which is some kind of peahen. 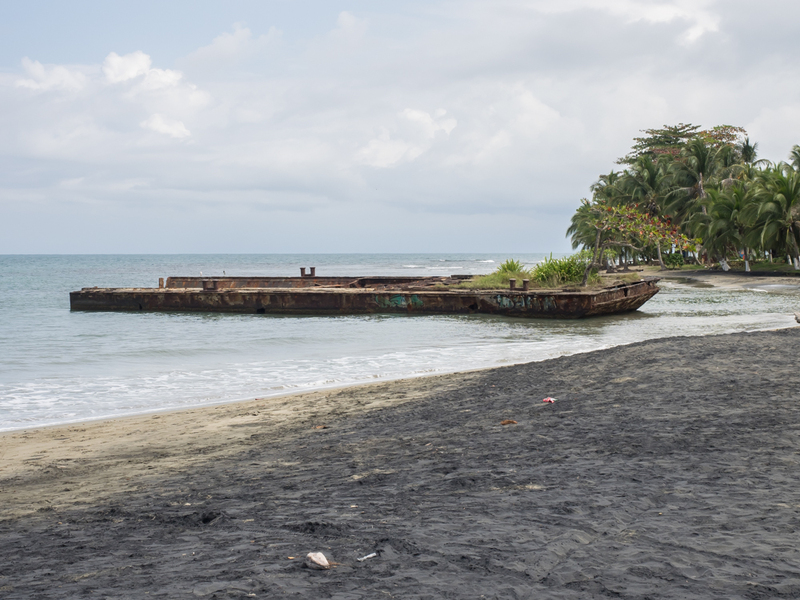 Puerto Viejo was a nice experience. The whole area is "rustic" but we still found a reasonable place to stay and a nice restaurant. Our last night we ate at a place called "Malbec" (like the wine) which featured Argentinian food and it was excellent. Not surprisingly, the specialty of the house was beef and our skirt steak was the best we have ever had. 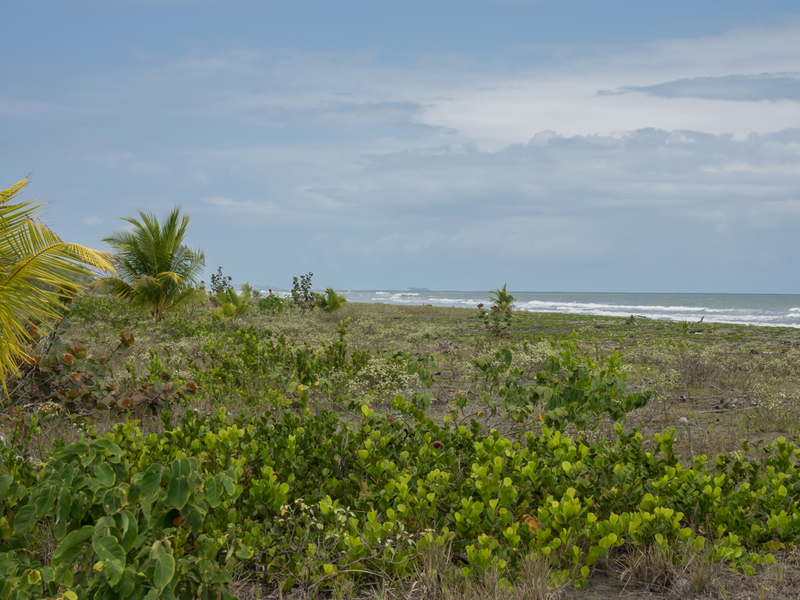 The road from Viejo to Limon is narrow, slow and rough but did parallel the beach providing some interesting views. Limon is a mad house and should serve as a poster child for bad driving chaos. We narrowly avoided several accidents and witnessed many close calls but managed to emerge unscathed. 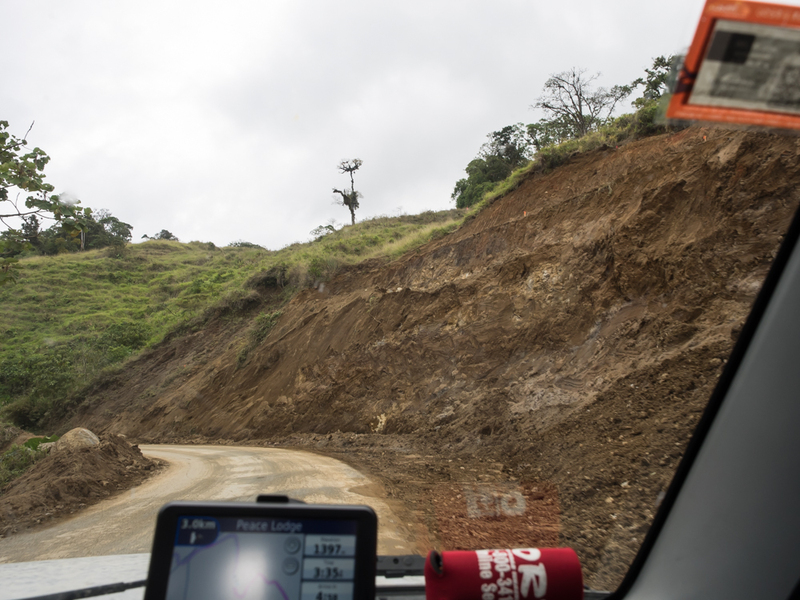 When we left Limon, we were not sure where we were going. But along the way a plan crystallized and we chose the Poas area. Kathleen found the best hotel and we were lucky enough for them to have a room available. Sometimes it is better to be lucky than good. 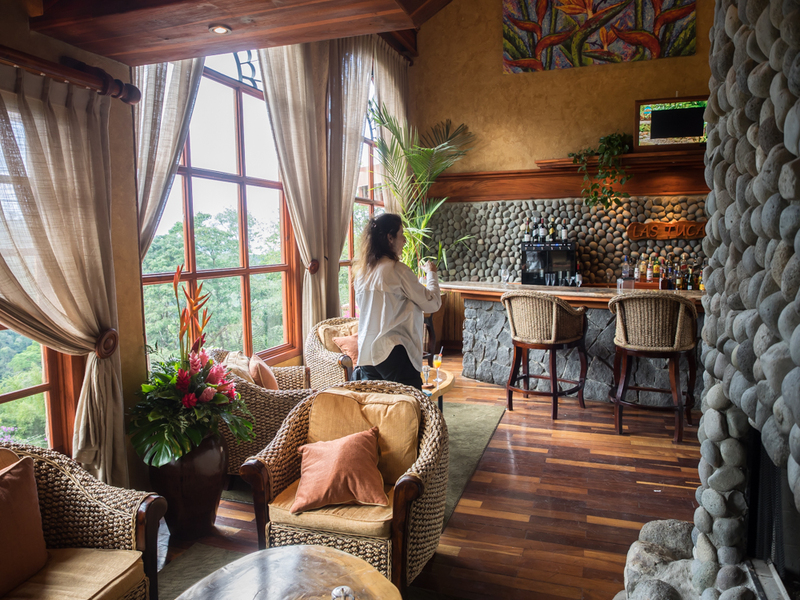 Our plan is to extend our stay for one night and see the sights at Peace Lodge and then take in the Poas Volcano tomorrow on our way to the airport in Alajuela. Photos and Text Copyright Bill Caid 2014 all rights reserved.